Note: If you have more ports you need to select correct com port. 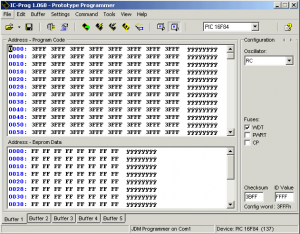 Download the Windows NT/2000/XP Driver. Put the NT/2000 driver file (icprog.sys) in the same directory as the ICProg.exe file. 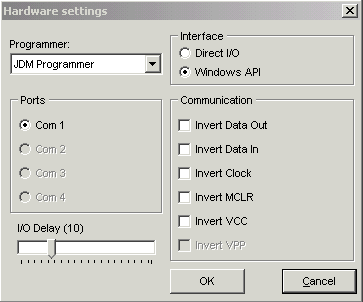 In ICProg, click on вЂ�SettingsвЂ™ in the main window and open the вЂ�OptionsвЂ™ window. Select the вЂ�MiscвЂ� tab. 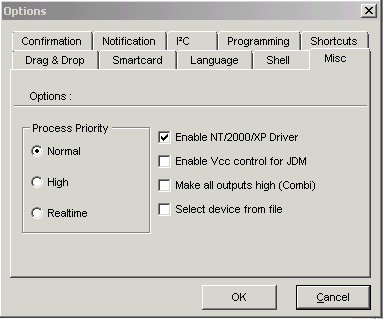 Click вЂ�Enable NT/2000/XP DriverвЂ�. ICProg will then restart with the new driver and everything should be peachy. When using Vista and Windows 7 you need to installing IC Prog 1.06. 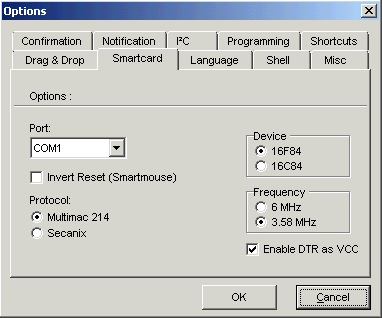 In ICProg, click on вЂ�SettingsвЂ™ in the main window and open the вЂ�OptionsвЂ™ window. Select the вЂ�SmartcardвЂ� tab. Turn on вЂњEnable ClockвЂќ by selecting the check box. This will allow the power and LED to be turned On or Off. If this does not work check LED and PIC Programmer Circuit. Open the code file (hex file) to be written in the PIC. press Program All button or F5. 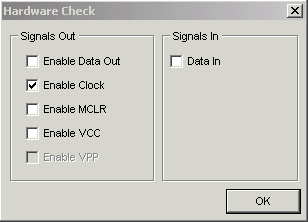 IC-Prog will show the following dialog box if the verification is successful. PIC Programming is done. Now you can use this PIC IC for your circuit. If the verification fails, donвЂ™t worry, no permanent damage is done. There are two common verification failures вЂ“ data and code. A data verification failure can be safely ignored and just means that the EEPROM was not fully zeroed. The message displayed will say вЂњVerify failed at data address XXXXhвЂќ. Note the word вЂњdataвЂќ in front of вЂњaddressвЂќ. If the message says вЂњVerify failed at address XXXXhвЂќ, note that the word вЂњdataвЂќ is not in front of вЂњaddressвЂќ, then the code verify failed and there is some sort of problem. Check the type of PIC. Check Menu в†’ Settings в†’ Type of hardware. Check the number of serial port selected.